The right way to analyse the performance of a fund is to not consider absolute return alone but to compare its performance vis-a-vis the benchmark and the peer group. 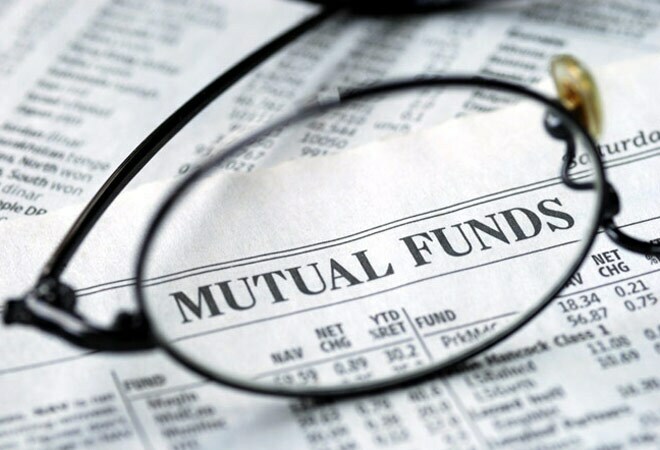 One of the hallmarks of mutual fund industry's growth in India has been its ability to offer a variety of products suitable for different segments of investors. Today, investors have hundreds of funds to choose from for making an investment in asset classes like equity, debt and gold. While having a number of options is a great thing for investors, it is important for them to select the right funds to ensure that there is no mismatch between what the funds can deliver and what they expect from them. It is equally important for them to know what to expect from different funds and how to measure their performances. In reality, however, all of us expect every fund in the portfolio to do well at all times. The fact is that market-linked products have the tendency to be volatile from time to time as their returns get impacted by a number of domestic and international economic and political factors. Hence, there could be periods of outperformance as well as underperformance. It is common to see investors getting disappointed with lower or negative returns and attributing the same to non-performance by the fund manager. While there is nothing wrong with getting concerned about the poor performance, investors need to measure the performance in the right manner so that they do not feel compelled to take illogical decisions due to their misperceptions. Remember, the right way to analyse the performance of a fund is to not consider absolute return alone but to compare its performance vis-Ã -vis the benchmark and the peer group. Investors must know that every fund has a benchmark and the same is mentioned in the offer document and the fact sheet published by the fund houses. In fact, even if a fund has done better than its benchmark, it is necessary to compare its performance with the peer group. Many a times, one would find a fund doing better than its benchmark, but lagging its peer on a consistent basis. If a fund underperforms its peer group for prolonged periods, it indicates that there are better opportunities for investors elsewhere. However, investors need not panic every time they see negative returns in the portfolio. For example, if one is invested in a mid-cap fund and its benchmark is CNX Midcap Index. If the benchmark itself is down by say 10 per cent and the fund's performance falls by six per cent, it shouldn't be considered as poor performance. In fact, the fund manager in this case would have done a good job of minimising the losses. Investors must realise that the job of a fund manager is to minimise the losses through diversification during market downturns and provide higher return by picking good quality stocks when the markets do well. Remember, a fund manager can only reduce and not eliminate the risk that is associated with an asset class. Therefore, one must decide one's asset allocation carefully to create the right balance between risk and reward. It is also important to give reasonable time to the fund manager to perform. Therefore, if a fund experiences some volatility in returns, one shouldn't be in a hurry to exit from it. For example, every equity fund manager endeavours to build a portfolio of potentially good stocks from different industries. It is quite possible that some of the stocks/sectors may underperform during certain periods. Investors must realise that poor/negative returns may not necessarily be due to poor selection of stocks. It could well be a result of some of the stocks/sectors losing investors' confidence due to certain short term adverse factors. If the fund manager believes that these are not likely to have any bearing on long-term performance, in all likelihood he will ignore short-term volatility and continue to hold these stocks. On the other hand, if he believes that a particular stock doesn't fit the bill anymore, he will exit from it and replace it with another one. Investors must realise that when they invest in a mutual fund, the job of fund management is entrusted to a full-time professional fund manager and hence they can expect him to take corrective measures. Investors themselves need not take any action unless they feel that the fund manager has failed to do so consistently. It is also important for investors to know that even the best of fund managers may not be able to take the right decisions at all times. However, a fund manager's ability to do so on a consistent basis will reflect in his fund's long-term performance. Therefore, one must invest in funds that are managed well and provide consistent returns. In other words, investors must avoid those funds that are showing very high past returns but are inconsistent performers over different time periods. For example, if one has sector funds in the portfolio, those might behave differently from broadly diversified funds due to their narrow focus. That's why one must have a mix of funds in the portfolio. Most fund houses offer a family of funds, thereby allowing investors to invest in different asset classes to achieve their varied investment goals across different time horizons. This can be of a great help in case one is required to make changes in the portfolio in line with one's revised investment objective/s or time horizon. Hence, considering the variety of funds on offer from a fund house is an important factor in the decision-making process. It is much more convenient to move money within the same fund house compared to redeeming from one fund house and reinvesting in some other fund house. Besides, one can avoid the risk of redeeming at one level and reinvesting at a different market level. However, if the fund house where one is invested does not have the required options or the performance of alternate fund being considered is not up to the mark, it will not be prudent to go for the convenience alone.